This dress took nearly a year to make! I cut this dress out in September 2017 and didn’t complete it until summer 2018! When I cut it out, and began assembling it, I though how simple and easy it was… I was sure I’d complete it in a weekend… and then the problems began! 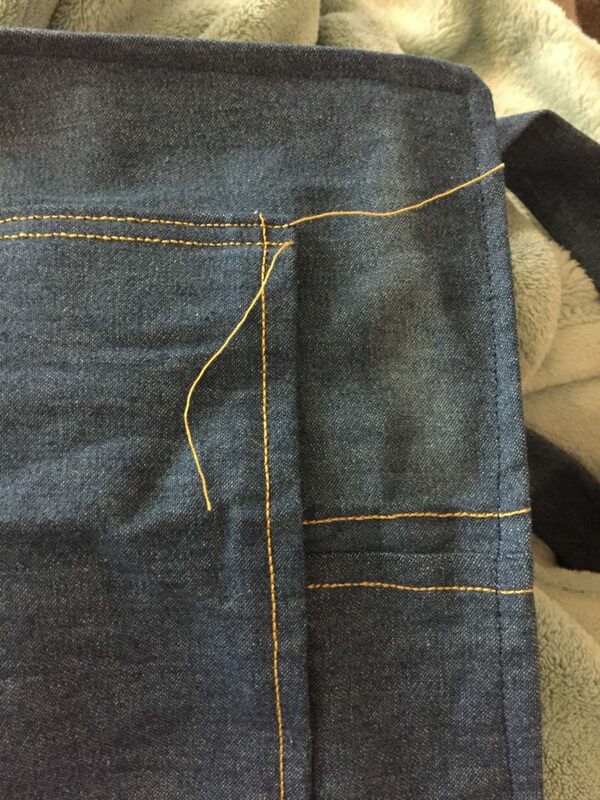 My dear sewing machine, the Janome 7025, handled the denim beautifully to begin with. It handled two layers with no problems but when it came to going over other seams, with three, four or maybe five layers it just couldn’t do it. 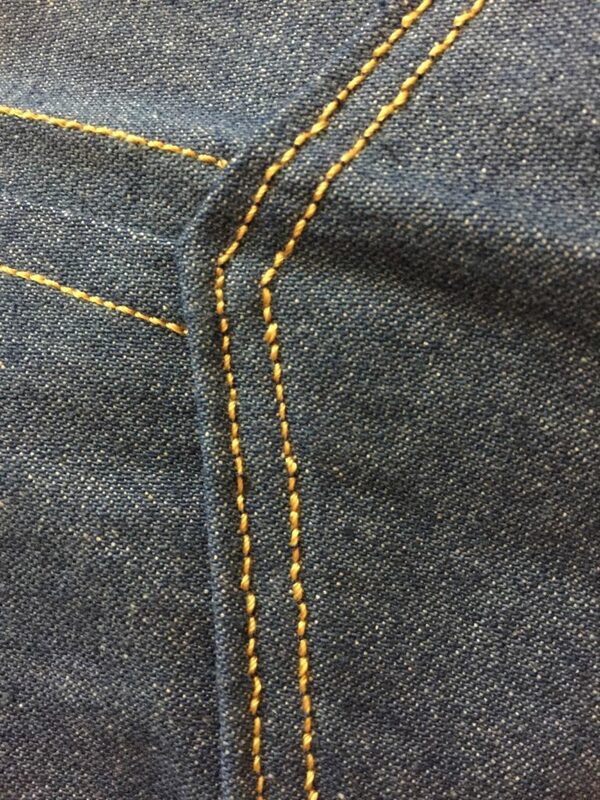 It also protested greatly at using the the thicker top stitching thread. I unpicked so many stitches and tried re-stitching but it just wouldn’t do it. I was so sad because I was very excited to wear this. The project was packed away until I eventually bought a second hand New Home semi-industrial sewing machine off eBay. This brute of a machine will power through layers of denim and has no issues with top stitching thread! The only issue with the new (old) machine is it only has one speed which is fast, so stitching the pocket in place had to be done by manually turning the wheel to keep it under control. I think this is a good pattern, but my enjoyment sewing it has been impacted by sewing machine woes – I have only worn this once because it brings back so many memories of being frustrated and upset my sewing machine was on its last legs. Sadly the 7025 is currently not working at all, and I have a new machine, the Pfaff Ambition Essential for most sewing. I will get the 7025 fixed soon. I’ve had it over ten years and I can’t imagine not having it forever! I have started another Cleo using some Cath Kidston canvas fabric, however it creases dreadfully and now its half made, I doubt it will be wearable. I really need to learn to pick fabrics I can easily sew and care for don’t I? !